A flash diffuser based in science, not marketing hype. "I have three of them, and often use two on off-camera flashes, and one on-camera." "I won’t leave home without them. They are fantastic." 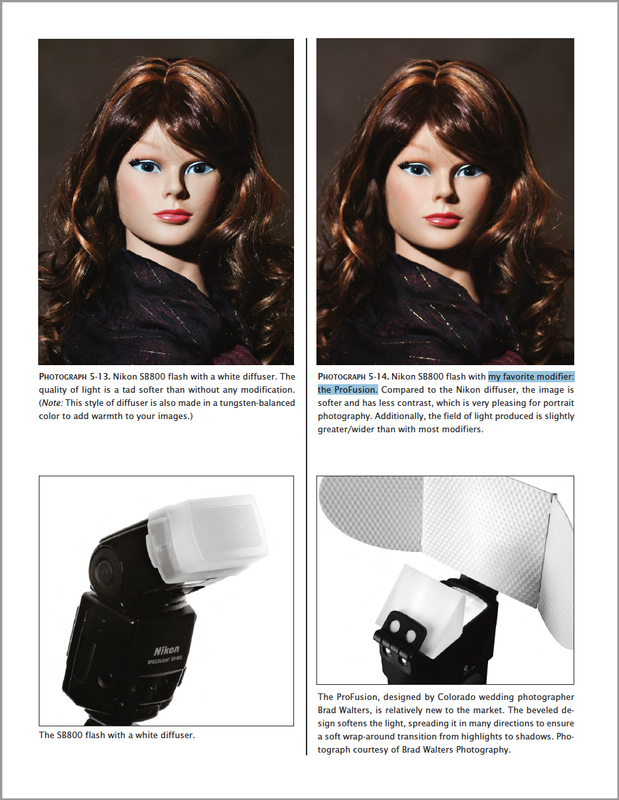 The ProFusion Flash Diffuser is featured in Allison Earnest's The Digital Photographer's Guide to Light Modifiers: Techniques for Sculpting with Light published by Amherst Media, Buffalo, NY. The Developers of the ProFusion Flash Diffuser are proud to read that Allison considers the ProFusion to be her favorite modifier in a book about light modifiers. Allison's book on light modifiers is a must have for photographers, as it is full of useful tips, technical tricks and insight. It has thus far received 4.8 out of 5 stars from 22 reviews on Amazon.